Budapest based band, The Qualitons is celebrating its 10th anniversary this year. Catchy, energetic, psychedelic rock inspired by the sounds of mod-beat and funk music of the 60s and 70s. The Qualitons has also built international reputation for their entertaining shows and the unique vibe that describes them. 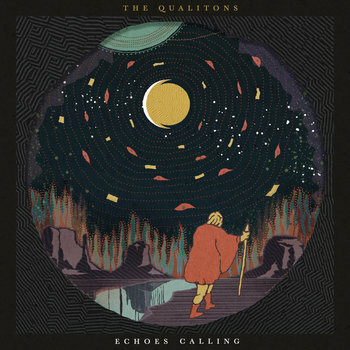 The albums Panoramic Tymes and Tomorrow's News is now followed by the brand new third one, called Echoes Calling. With the new musical material the band is off to pastures new. The tracks are longer, made of several parts, the sounds are bolder and more progressive. It all adds up to the band's characteristic trait, the rich vocal harmonies building on solid guitar grooves.